Reduction in competition in financial sector very concerning, he says. But how do you claim compensation if you have been affected by IT woes at the Bank? PROBLEMS AT ULSTER Bank are not over, the Financial Ombudsman this morning, as he urged it to put customers back in at least the position they had been in prior to IT problems at the bank. Speaking on RTE’s Morning Ireland, William Prasifka said that while he was not in a position to say what the financial cost of IT problems to banking customers is, those who have suffered would be able to claim not just for out of pocket losses but also for stress incurred. “People have not been able to close the sale of houses, direct debits have not gone through, a simple reversal” of which, he said, may not compensate customers fully. Customers would be able to claim for compensation of up to €500 for simple errors such as a cheque not being compensated, he said, and over €1000 if people had been seriously inconvenienced. People can contact his office on 1890 882090 or through the website http://www.financialombudsman.ie/. Stating that he was “very concerned by the reduction in competition in some sections of the financial sector”, he added that the financial sector and Irish society had been changed irreparably by the banking crisis. if they do not improve their game they will fall far far behind. Email “Ulster Bank customers can claim stress compensation, says Financial Ombudsman ”. 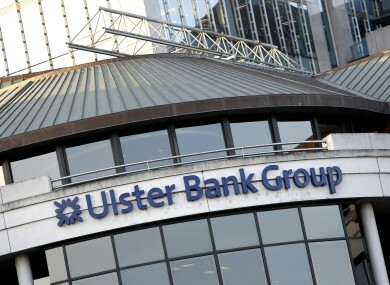 Feedback on “Ulster Bank customers can claim stress compensation, says Financial Ombudsman ”.